INDIANAPOLIS, Ind. 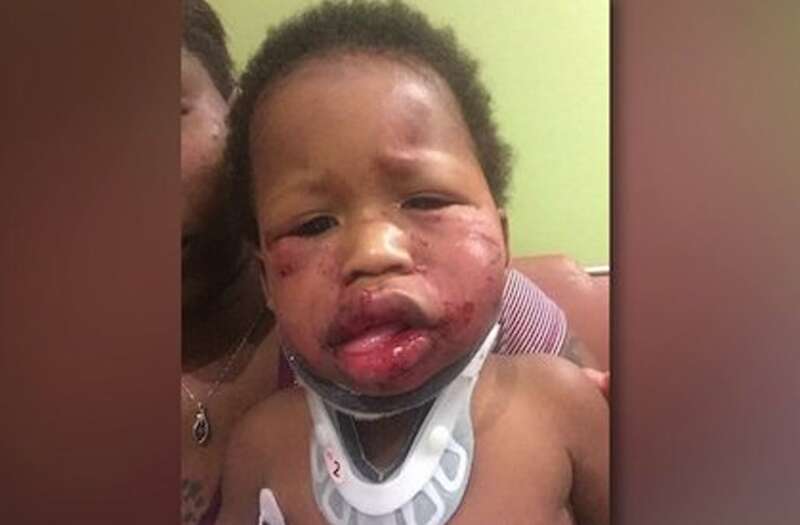 (WXIN) — Officials from the day care where a mother says her 1-year-old son was severely beaten say they believe an investigation will clear them of any wrongdoing. Monday night, Tiffany Griffin told WXIN she received a call from a day care worker at the Kiddiegarden on East 38th Street, notifying her that her child had been injured. When she arrived, Griffin said her 1-year-old son Jesse had cuts to his face, and both of his eyes and lips were swollen. Griffin says she was told another child was responsible for the assault. "We are deeply saddened about what took place yesterday afternoon to Jesse. We at Kiddiegarden pride ourselves on not only providing quality service to families, but also providing a clean, safe and healthy environment for all of our children since we opened our doors three years ago. Kiddiegarden has never had any accusations of abuse or maltreatment from any of our children or parents. This was truly a sad, shocking and unfortunate event. We have been diligently working with law enforcement, child protective services, as well as state agencies on this matter. We have been fully cooperative and transparent with law enforcement to complete their investigation. Our hearts go out to Jesse and his family and are praying for his well being. Due to this still being an ongoing investigation, we are not at liberty to disclose any further details. We have confidence in the detectives who are handling the investigation to give us a final report of the incident, which we will make public. At that time we will make another statement addressing the matter." Due to the extent of Jesse’s injuries, Griffin doesn’t believe that a child was responsible. During an off-camera conversation with Kiddiegarden officials on Tuesday, WXIN was told the day care believes they will be able to prove a child was responsible for the injuries and not an employee. They expressed that they will also be able to prove that proper steps were taken after the attack when the investigation concludes. Griffin says Jesse underwent an MRI on Tuesday and likely will be in the hospital for a few days. Family also sent WXIN a video of the toddler in better spirits, laughing and playing.